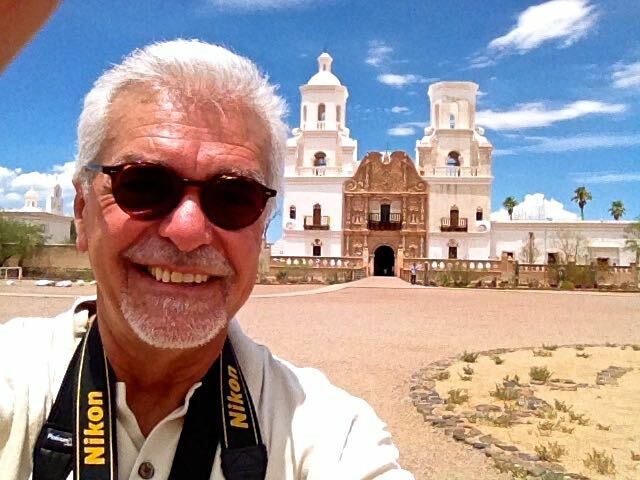 November 11, 2014 - Right then and there, as I knelt on a pew at the Mission San Xavier del Bac church in southern Arizona two years ago, I made a pledge that I would go back — not just for another Sunday Mass but by way of a cross-country pilgrimage to discover America's hidden Hispanic heritage. This church was so uniquely beautiful, so spiritually fulfilling, so ethnically enriching that it rearranged my professional priorities and took my life in a new direction. "More people should be aware of the Hispanic heritage that is here," said the Rev. Thomas Frost as he sat with me shortly after celebrating Mass to contemplate the beauty of his church. After the priest left me alone in that church, I decided to go on a "Great Hispanic American History Tour" — to discover many other hidden Hispanic treasures like San Xavier and to expose the Hispanic heritage that often is left out of our American history books and classrooms. I had been writing Hispanic history columns — occasionally — for several years. But suddenly, I saw it much more necessary to expand my research by visiting and reporting from the many places that still expose the roots of our Hispanic heritage. I had to hit the road! I had to go on the longest road trip of my life. After two years of research and planning, my tour finally began five months ago in Florida. And after writing 22 consecutive weekly columns while traveling more than 2,000 miles across the country, I finally returned to San Xavier recently — and I could not have been more excited. I live for this! I could say mission accomplished, because I made it back to San Xavier. But the main thing I have learned from this trip is that there is still so much more territory I need to explore. My history tour already has exposed many other Hispanic heritage landmarks, but my bucket list keeps getting longer. Yet I'm not likely to find another Spanish landmark as precious as San Xavier — unless I go to Spain. As you drive through the Sonoran Desert, in the Tohono O'odham Native American reservation, you can see the church known as "the White Dove of the Desert" for miles. 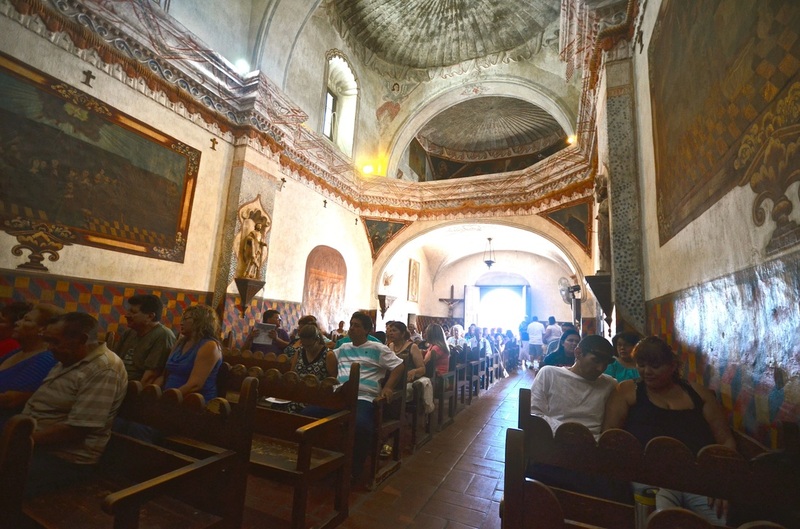 San Xavier draws people like a spiritual magnet. Busloads of visitors are brought in to see its beauty, and busloads leave in awe, not only because of what they saw but also because of what they felt in their souls. 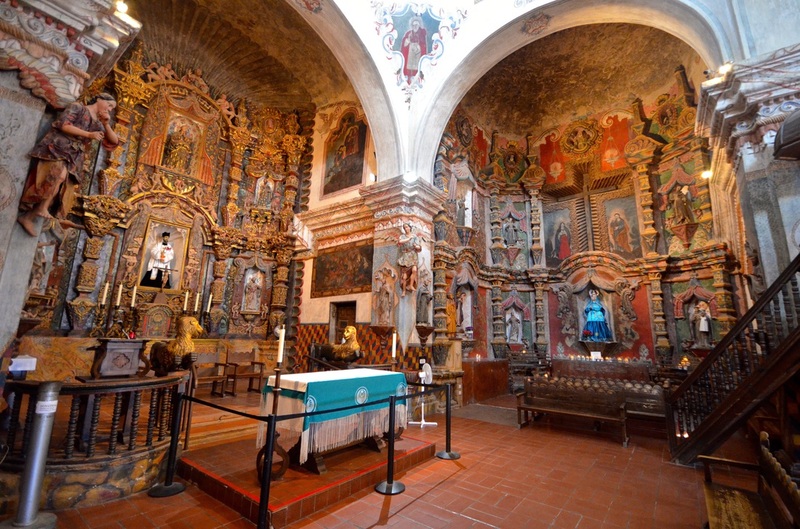 Founded as a Catholic mission by Jesuit missionary and explorer Eusebio Kino in 1692, San Xavier del Bac still serves the descendants of the Native Americans Kino converted to Catholicism more than three centuries ago. The current church, built by Native Americans and Franciscan priests who succeeded Kino and the Jesuits, was completed in 1797, making it one of the few places in the United States where visitors can enter an authentic 18th-century space. 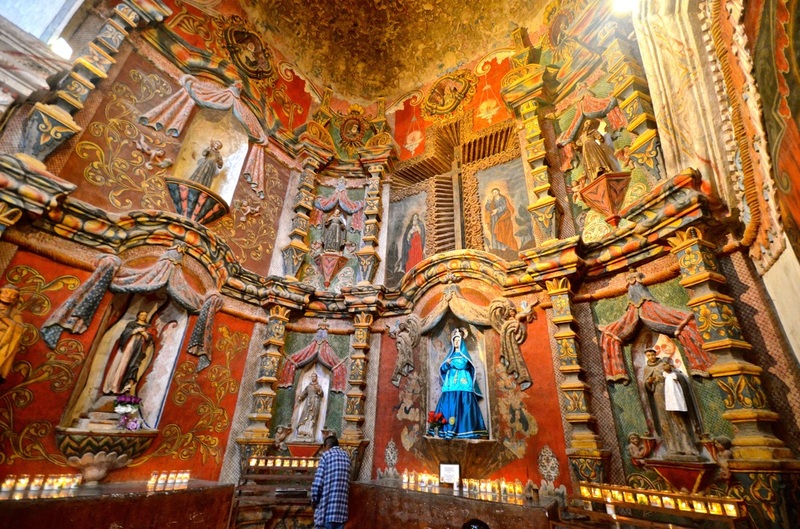 Its Moorish, Byzantine and late Mexican Renaissance architecture, its dozens of colorful, wood-carved saints and angels, and its legacy of serving the Tohono O'odham, or "Desert People," for more than three centuries make San Xavier a hidden treasure, just south of Tucson, that more Americans should discover. 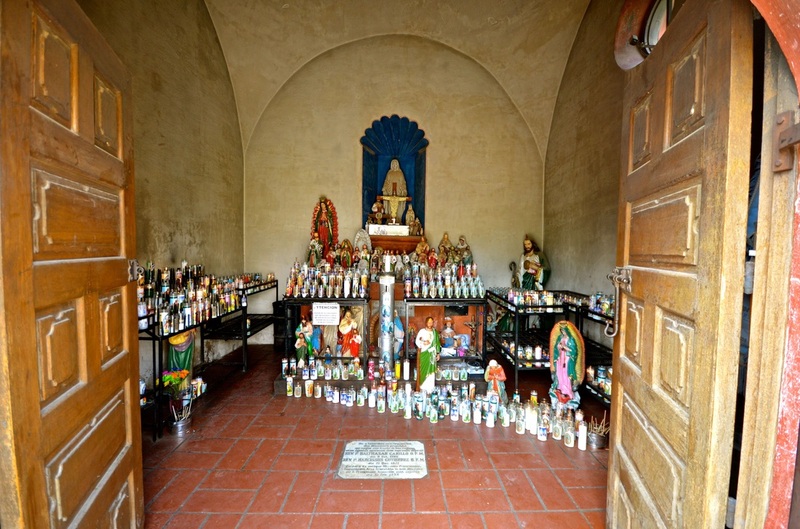 Indeed, San Xavier has become a place of pilgrimage for many people all over the Southwest who go there to fulfill promises to the patron saint of the mission, San Francisco Xavier, a missionary who was one of the founders of the Jesuit order. 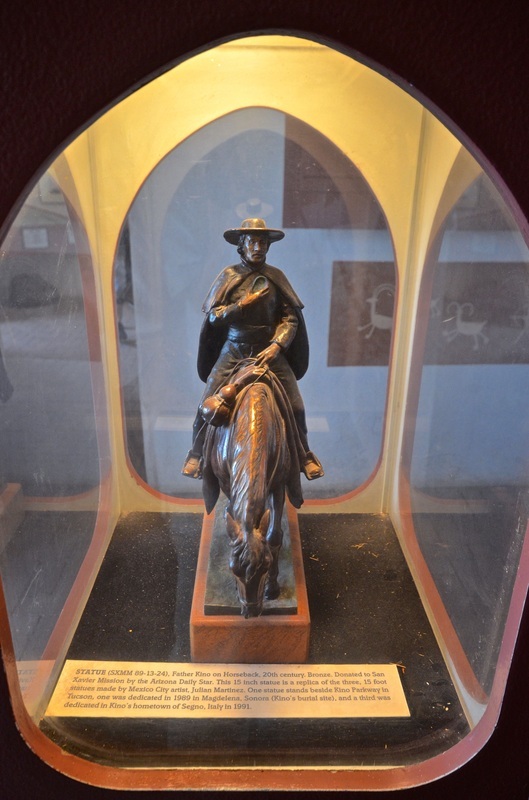 But given its amazing history and pivotal location — on an Indian reservation that once was part of Spain and then Mexico and was then acquired by the United States in 1854 under the Gadsden Purchase — you have to wonder why more Americans don't know San Xavier the way they know other national landmarks. Is it because American history has been selective and subjective, often omitting Hispanic contributions? Just asking. It is the northernmost link in the chain of missions established by Kino and covered in this column last week. 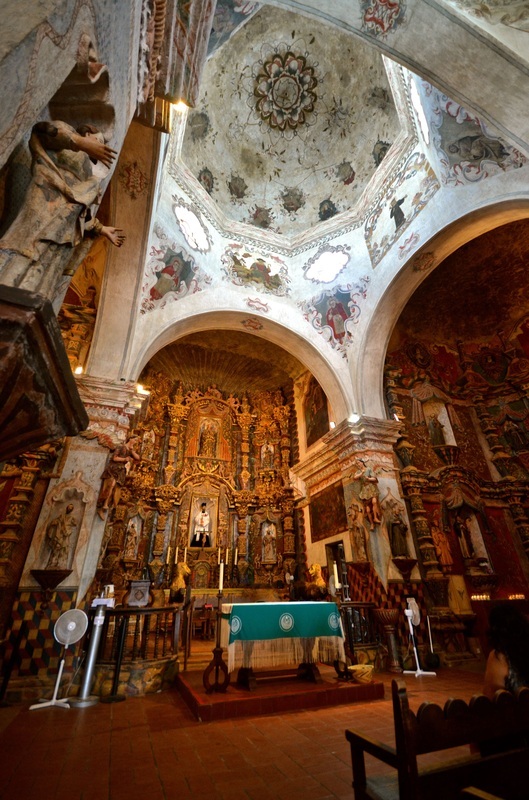 But the way it was rebuilt and maintained by the Franciscan friars who succeeded the Jesuits, San Xavier is arguably the most beautiful Spanish structure in the United States today. With 7,000 borrowed pesos, Franciscan missionary Juan Bautista Velderrain began to build today's San Xavier church in 1783. 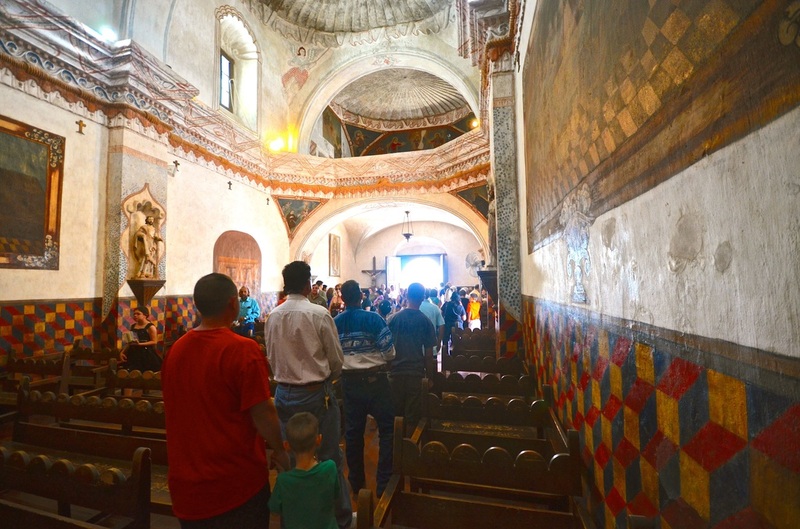 "The Franciscan introduced lime mortar, kiln-fired brick, masonry vaults, and detail to rival any church far into today's Mexico," according to a church brochure. "Bac's villagers helped from start to finish — and beyond. They gathered sand, lime, clay, rock and wood, built kilns, and excavated trenches. Thirty-three-inch walls the Romans could have recognized were in place in a few years." Artists from central Mexico (New Spain at that time) worked on the interior beginning in 1790. "They earned double pay because Apaches were a constant threat," the brochure explains. "But in 1797, funds ran out. The artists and master artisans were let go. The east tower was left with bare brick, and no dome or lantern. Choir loft and baptistery paintings were left unfinished. But Bac's parishioners were still at work — this time dismantling their old Jesuit church from the 1750s and then rebuilding it as the east wing of the east tower." When Mexico won its independence from Spain in 1821 and Franciscan friars were recalled back to Europe or other Spanish colonies, the missions of Pimeria Alta — in present-day northern Mexico and southern Arizona — were severely affected. The last of the Franciscans left San Xavier in 1837. The Gadsden Purchase brought the church into U.S. territory in 1854. And regular services did not resume at San Xavier until 1866. "In 1913 the Order of Friars Minor (Franciscans) returned to Bac where the Tohono O'odham had faithfully guarded their church and its sacred chalices," says the brochure. It was designated a National Historic Landmark in 1963. For me, the place that launched my cross-country pilgrimage remains as precious as it was when I first saw it. Unfortunately, the Rev. Frost was on vacation and out of town when I went back to his parish. But the Sunday Mass celebrated by the Rev. Stephen Barnufsky was equally illuminating. Perhaps enhanced by the church's unique setting, both Frost and Barnufsky have a gift for stimulating faith. And Martin DeSoto, the church volunteer who became my friend and area guide two years ago, was there to guide me again and to help me reconnect with the renowned historian and anthropologist Bernard "Bunny" Fontana, who has written several books on the history of southern Arizona, Hispanics and the San Xavier mission. Two years ago, Fontana gave me a private history lesson in the living room of his desert home, just outside the Tohono O'odham reservation. But next week, before leaving Tucson, the Great Hispanic American History Tour makes a stop at Fontana's new living room, in an assisted living facility, where he taught me a few more lessons that I need to share. 8. Galveston: Still the Isle of Misfortune?